Have you been in the same home and paying on the same mortgage for 10 years or longer? If so, you’ve probably built up a nice bit of equity. In fact, you may have thousands of dollars of equity in your house. There are a number of things you could do with that equity but the best might be to pay off your debts. 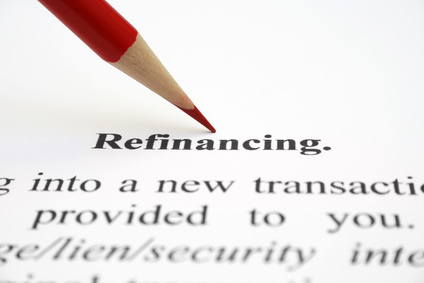 The way you cash out your equity is by refinancing your home. Now is a great time to do this because there are 15- and 30-year fixed rate mortgages available for 4% and less. If you believe you will be in that house for less than five years, you could choose an adjustable rate mortgage (ARM) with an interest rate of 3% or less. In either case, you would be able to cash out your equity and, at the same time, end up with a lower monthly payment. Here’s why it might could make sense to cash out your equity and use it to pay off your debt. Let’s say you have $10,000 in debt at an average interest rate of 12%. If you were to make monthly payments totaling $330, it would take you three years to pay off your debts and your interest cost would be about $1,950. In comparison, if you were to refinance at 4% and use that $10,000 to pay off your debt, you would save the $332 a month and the $10,000 would be costing you, in effect, only about $53 a month. If you haven’t been paying on your mortgage for 10 years or longer, you probably won’t have built up enough equity for a refi to make sense. The reason for this is that during those initial 10 years, most of your monthly payments are going to reduce your interest cost and not your balance. In the event that you can’t use equity to pay off your debts, there are alternatives. One of the most popular of these is a debt consolidation loan. It’s a simple solution in that all you have to do is borrow enough money to pay off whatever it is you owe. The advantages of a debt consolidation loan are that you will have a lower monthly payment than the total payments you’re now making monthly and should have a lower interest rate. For example, if you have credit card debts, you’re probably paying 18% or more APR. In comparison, you should be able to get a debt consolidation loan at 9% or less. The ultimate way to get rid of most of your unsecured debts is to file for a chapter 7 bankruptcy. However, most financial experts will say that it’s the option of last resort because of the stain it will leave on your credit record for 10 years. Also, not even a chapter 7 bankruptcy will eliminate some of your debts including student loan debts, alimony and child support and back taxes. You will be allowed to keep most of the equity in your house, your automobile and any tools used in your employment but some of your most prized possessions could be seized and sold at auction. A third way to deal with debt is through a program of debt settlement. This is where our debt counselors negotiate with your creditors to get your interest rates and balances reduced to help you get out of debt in 24 to 48 months. We’ve helped thousands of American families save money and become debt free in a reasonable amount of time. If you don’t have enough equity in your home to pay off your debt, call our toll-free number today and let us explain how we could help you. It would take only a few minutes and it could save you thousands of dollars.